Memoirs of a Madcap Musicmaker Madly Musicmaking and Making Mad Music (Est. 2004): Bench: Reviewed! Hey everyone. It's been another week of meh-ness as I've come down with a dreadful cough and sore throat, grr arrgh. 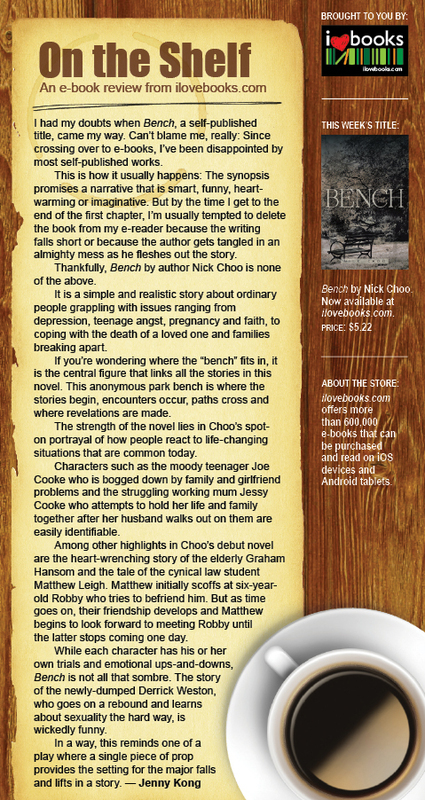 But on the happier news front, on Tuesday my novel Bench was reviewed by ilovebooks, the books (duh) division of MediaCorp. So here's a scan of the article in question, which you can also view here! 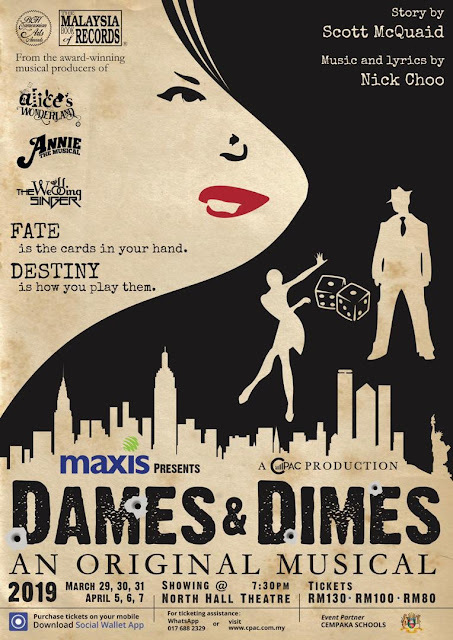 If you haven't yet got your copy... well... shame on you! !